Defined Benefit LOSAP plans are plan sponsored programs in which the benefit is defined by specific criteria. The criteria for qualifying for LOSAP is spelled out by a point system. To obtain the greatest benefit, the LOSAP participant has to participate for a specific number of years, attaining a specific number of points each year and reach a specific age before the benefit can be paid. The distribution amount of the benefit typically is limited both in length of time and in the amount of the payment. The typical payout period is 10 years. 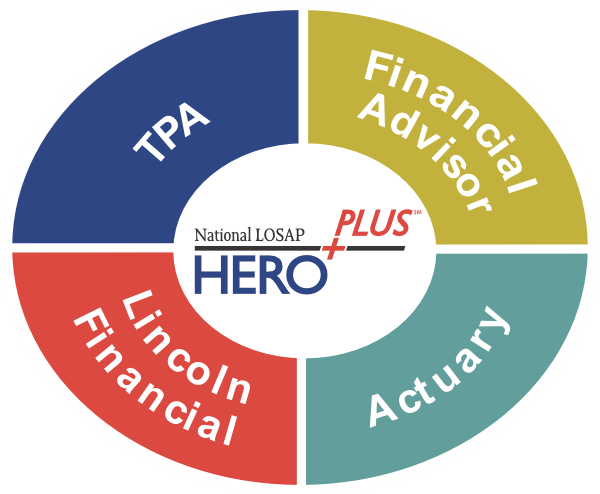 A Defined Benefit LOSAP plan requires an Actuary and a Third Party Administrator (TPA) to administer the plan. The responsibility of the Actuary is to identify proper funding of the LOSAP plan by the plan sponsor.